For twenty years, Ashton has worked tirelessly to produce one of the highest quality, most consistent cigars that are sold anywhere. To celebrate twenty consecutive years of increased sales and overall growth, Robert Levin and Carlos Fuente Jr. have teamed up to create the Ashton Estate Sun Grown, or ESG for short. Such a special occasion called for a very special cigar. The ESG uses a unique Dominican wrapper grown on the Chateau de la Fuente farm in the Dominican Republic. This wrapper has never been used on any other cigar. 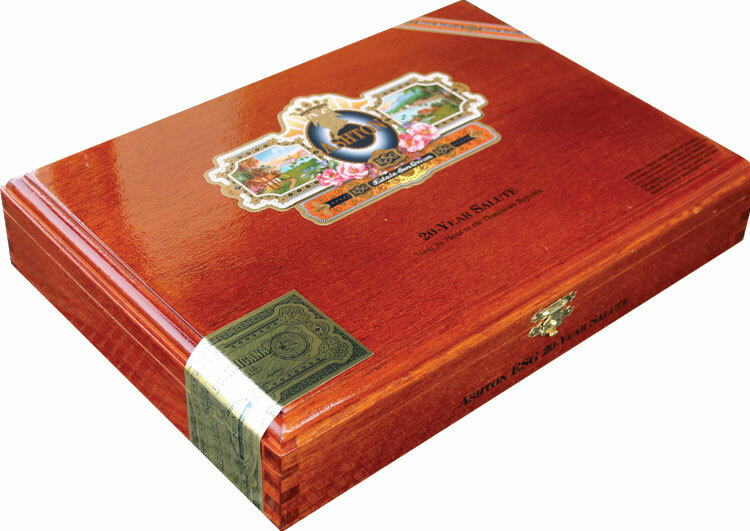 The blend is the creation of Carlos Fuente Jr. who is a master blender and has created the most sought after cigars in the world. With ESG the bar has been raised once again.